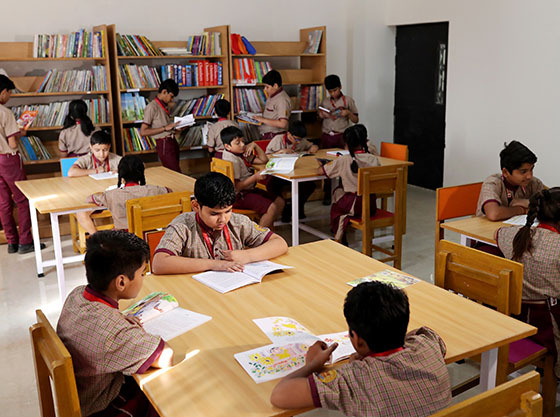 Florence International School has a dynamic co-educational learning environment that fosters individual attention and inclusivity. We assess and reinvent our approach and methodology so that we retain effective established practices while exploring new ways to promote academic excellence and personal development. Our students learn in an enlightened setting that reflects and embraces the social and cultural forces of today. We offer a wide range of experiential learning opportunities for students. Culture is what sets The Florence International School apart from other schools. At The Florence International School, innovation is a mindset. We encourage students to rethink the obvious, reinvent and find novel solutions â€” and provide training and opportunities to practice doing this each day. Creativity is now regarded as the most important quality for the leaders of tomorrow.A Florence International School student will gather knowledge, respect themselves and care for others.The words inquiring and knowledgeable are evident in our classrooms, but our mission is also to develop caring young people who are engaged citizens of the world. Our offerings are as diverse as the interests of our students. Co-curricular activities develop confidence and leadership, create social connections and new opportunities, and often become lifelong interests. We are committed to deliver the best professional resources possible through our faculty of well trained teachers. Our mission is not a sign on the wall. It is a shared vision of what we can be and expect of ourselves each day. We trust that the social, physical and emotional development of a child is as important in overall personality development as curriculum of global standard.